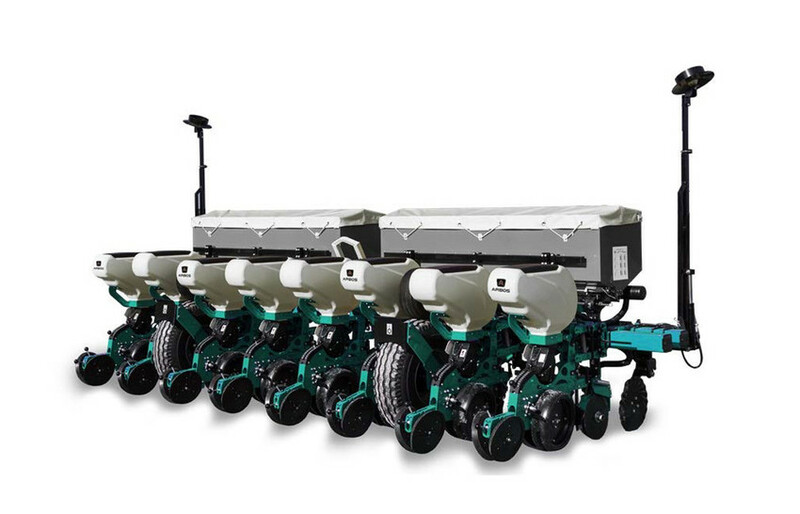 MS 8100 precision planter, semi-trailed version with 3 point hitch cat. II. The planting units are directly mounted on the main rigid tool bar. The drive wheels are also used for road transport. The towed seed drill solution, allows the use of low power tractors, the lifting weight is only 1/3 of the total weight of the machine.